Mortgage refinancing is a great way to save on your residential or commercial mortgage payments, as long as the new terms offer a substantial savings over your old mortgage. The settlement process for mortgage refinancing is very similar to the settlement process for a new real estate purchase, but is streamlined in certain areas. Front Door title is a Harford County title company you can trust to work with you to ensure your mortgage refinancing goes smoothly. All we need to start your refinancing is for your loan officer to call us directly. We’ll research the title for the lender. Even if the title was researched for the initial mortgage, the lender wants to make sure there aren’t any problems with the title that have cropped up since then. For example, the title search could find that the owner has had a judgment placed against him or that she has unpaid taxes on the property. We act as a communications hub in a transaction. We as the closing agent will contact lenders to determine the amount of money required to pay off the existing mortgages. The closing agent will also communicate with you,and the lender who is processing your new loan. That lender will send to FDT the documents to be signed by you at closing. At closing, you will need to provide a government issued ID, and a second form of ID and any funds that may be required. We will communicate with you in advance what funds will be needed. If part of the purpose of the mortgage refinancing is to provide “cash out” to the borrower, your lender will arrange with us to disburse the money to us, and we in turn disburse the money to you at closing. 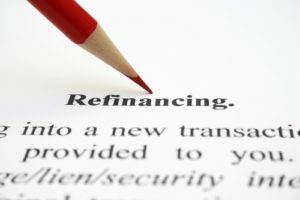 You are required to purchase a new lender’s title insurance policy when you refinance. This policy will be issued to cover the new lender for the new loan amount and the premium will be calculated at a discounted rate. You don’t have to buy a new owner’s title insurance policy, because the one you likely bought when you purchased your property is good for the duration of the time you own the property.